The BBC is gearing up for coverage of next month's Olympic Games in Rio with extra BBC Red Button streams preparing to go live on satellite, which will give Sky and Freesat viewers up to eight additional streams in either standard or high definition. The first Olympic events take place on Wednesday 3rd August, with the official Opening Ceremony following on the 5th August (6th August in UK and European time zones), with the games coming to an end on the 21st August (22nd August in UK and European time zones). 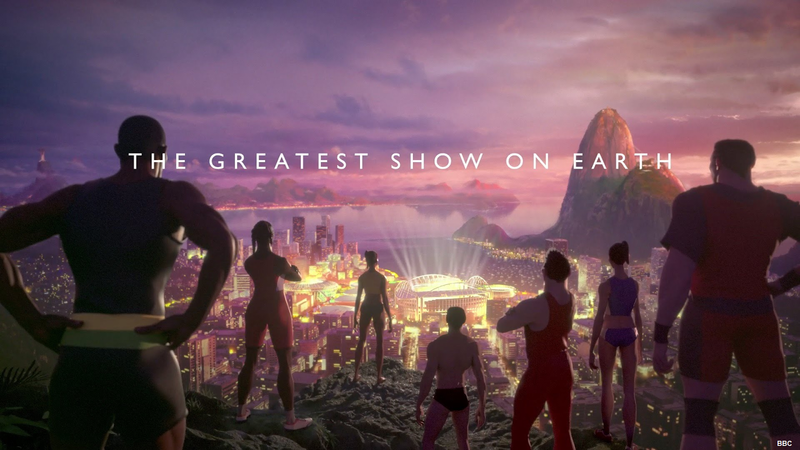 During this period, the BBC will be running additional coverage on all digital TV platforms, plus a full set of streams from Rio via online and connected TV services. On satellite, new streams that will house the coverage have now started testing ahead of their official launch. They will not officially be added to Sky and Freesat EPGs until just before the Olympics start. These streams will provide alternatives to the live coverage being broadcast on BBC One and BBC Four. Existing BBC Red Button standard definition streams BBC RB 1 - BBC RB 6 will be joined by BBC RB 7 and BBC RB 8 ( update -- to be branded BBC Olympics 1-8). BBC Four will become a channel devoted to Olympic sport for most of August. These Red Button streams will be mirrored in HD, where the BBC Red Button HD service will be expanded to eight streams. CBeebies HD will also move transponders giving way to an extended BBC Four HD. Viewers with Sky or Freesat needn't do anything: the extra channels and the transponder changes for CBeebies should be dealt with automatically by your receiver. At this stage, it's not clear whether the extra Olympic Red Button streams will be added to Sky in the Republic of Ireland. There had been issues surrounding the Red Button service on Sky Ireland during Glastonbury and Wimbledon. For viewers who will need to manually tune the extra Red Button streams, provisional frequency information has been added to the a516digital resource page BBC TV and Radio - satellite frequency list. On Freeview, additional coverage will be available, but some of the extra streams will only be available to viewers with DVB-T2 compatible equipment (i.e. Freeview HD, Freeview Play, YouView - BT TV, TalkTalk TV, Plusnet TV or EE TV) and be limited in coverage. The full Olympic experience will be available on selected smart TVs and connected devices via the BBC Red Button+ service or BBC Sport App. Further information about changes to Freeview are to be confirmed, but extra services will be activated on Freeview in the week running up to the Opening Ceremony. On Virgin Media, viewers will see the extra Red Button services added shortly before the Olympics start.